We can paint anything for you! As always, you select fonts, runner color and paint colors. 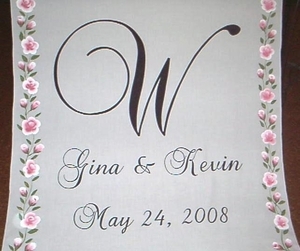 * The cost shown includes the painted design shown on a 45" x 25' cotton runner.